For Pushya nativities, the influence of rigid, chronological, lawful, enduring strictly structural sober serious systematic Shani can considerably affect the outcome. Shani-ruled Pushyami ladies are often found at the director level of organizations. Deeply patriotic and protectionist by nature, they have a gift for combining a secure family life with larger social responsibilities. Pushya feminine figures are influential in the world, respected for their orderly yet sensitive conduct, and particularly dedicated to the welfare of women and children. Themes of parental duty, civic responsibility, dignity of the family, and foundational legal protections may contextualize Pushya's terrestrial experience. "Distinctly the club-woman type is found here. She is well-read, cultured and active in all community and social affairs. at which she is a charming and capable hostess. she will become very well known ." 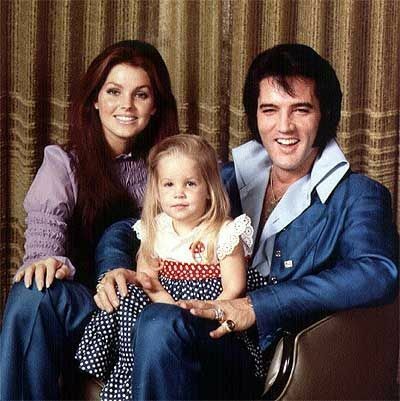 The American entertainer Lisa Marie Presley has married and divorced four times before the age of 48. Surya-7 generally indicates the self-centered nature of lifepartner-1. 03-Oct-1988 Marriage 1 to fellow musician Danny Keogh * Shani-Rahu bhukti * Guru-Simha indicating generosity, entertainment, celebrity, drama and fertility. Guru occupies 7th-from-Chandra and Guru receives drishti from Chandra-Budha-Mangala. Also in navamsha, Guru has two companion Graha. The prognosis generally would be three marriages. There were four, albeit #2 occurred under irregular auspice. to Thriller 1958-2009 Michael J. Jackson was significantly challenged by randhresha-8 Shani-yuti-Rahu-9 residing in 2nd-from-Chandra-8. After Mr. Jackson's decease, Ms. Presley stated that there was an uncanny similarity of his willfully self-destructive drug-lifestyle to her father's pattern, and she felt powerless to help either one of them. Naturally when 2nd-from-Chandra matches pitribhava-9, the second marriage partner can be expected to significantly resemble the father's emotional persona. In this case, Shani-yuti-Rahu suggests extreme stress due to ruler Guru in 6th-from-2nd-from-Chandra. No graha residing in bhava-4 = 9th-from-Chandra-8. However the ruler of bhava-4 = Zukra-6 in 3rd-from-4th suggesting artistic communication abilities along with addictions, financial imbalance, and marital distrust. This marriage endured for four months. No graha residing in bhava-11 = 4th-from-Chandra-8. However the ruler of bhava-11 = Zukra-6 in 8th-from-11th suggesting artistic transformative abilities along with addictions, financial imbalance, and marital distrust. .
ruler-of-12 Budha-8 creates a Viparita Raja yoga Vimala Yoga which protects from potential issues with bhava-12 outcomes such as isolation and interference from spirit guides or ancestors. Assists meditation . Budha also rules karakamsha Mithunaya-12 suggesting that behind-the-scenes (12) involvements and activities in distant lands produce a surprising amount of social validation. Ms. Presley's work is almost unknown in her homeland however her musical performances are praised in Japan. Shani-yuti-Rahu * yuvatipathi-7 + amplifying, risk-taking Rahu. Shani matures age 36. Shani's drishti upon 11, 3, 6 = generally beneficial because Shani drishti is reaching upachaya bhava which improve with time. Rahu in bhava-9 * privilege via glamorous or unusual doctrine, theory, dharma, worldview; seeks a special, important teacher-preacher role in catechesis, principled discourses of abstract ideas, ideology, philosophy. Opportunistic father, ambitious professors and religious teachers. When Rahu occupies dharmasthana-9, the social mobility cravings of Rahu seek a platform for ascendance in the mattes of 9 such as doctrines of belief, theory, and ideology. Rahu-9 tends to attract exotic, unusual preachers into one's life. May indicate indoctrinators of belief who hail from an exotic culture, an unconventional gender for the role, or have attributes of Otherness. Irregular style of dharma transmission.